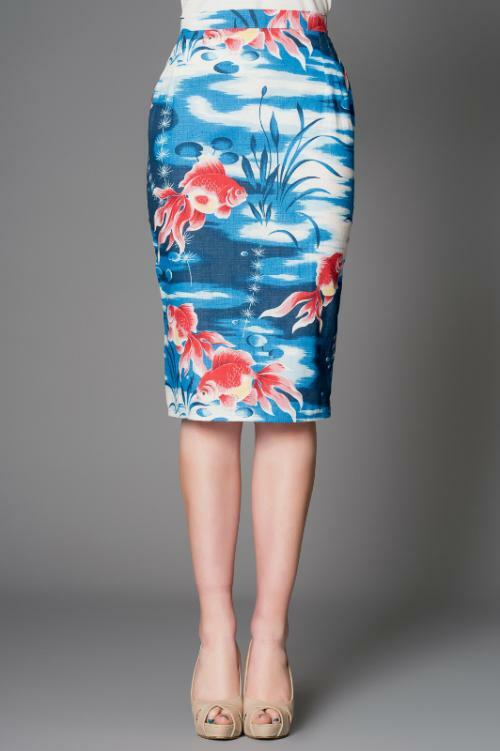 Pencil skirt with a zip and clip fastening at the rear. 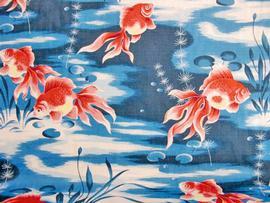 Here in a fantastic print featuring Fantail Goldfish. Charming indeed!